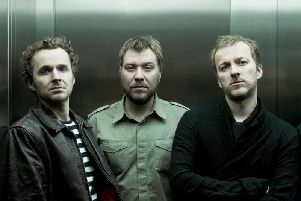 Canadian musicians The Once are lining up a date at The Green Door in Brighton on Sunday, February 3. Spokeswoman Julia Boucher said: “Newfoundland, Canada has a storied history of stunning songwriters, poets and players. Over the course of the last decade The Once have writ and knit themselves into that story. “With the release of critically acclaimed fourth album Time Enough earlier this year, East Coast Music Award (ECMA) winners and JUNO Nominee’s, The Once announce their return to the UK for a string of tour dates including a show at the The Green Door in Brighton. “Within the nine songs on their new album Time Enough, The Once offer some of the most vulnerable and honest material of their career. The up-tempo album opener, I Can’t Live Without You, reflects on women battling with self-image issues and offers wisened words to be the positive change in their own lives. The gritty guitar-driven Before The Fall succumbs to the notion that we must accept our past and use those memories to grow. Riff rocker Any Other Way reflects the fact that true love accepts us at our worst but insists we do the work to be our best selves to keep it together. “The Once continue to stay true to the root strength of their harmony driven sound, while extending the borders into fresh yet familiar territory. They craft a sonically understated, but emotionally fulsome sound that accomplishes what they’ve always done so well: stun listeners with perfect vocal harmonies, thick enough to stand on. Building on the wave of creative energy that defined their last album, Time Enough is a striking and subtle sea change for the band.